The Bard learned all of the tales of the chieftain’s victories and the secret lore of sacred poetry. A Bard was an honoured member of the Tribe who was welcome wherever he or she travelled – in a way they were the newspapers of the day. We know from ancient poetry that the Bardic/Ovate crossover was not so defined, and that the Bards were also Shamans. They were trained in the Art of Magic using the power of poetry in either praise or satire. Their Lore supplied the foundation to the religious and magical practice of Druidry, telling the nature of the Gods, the deeds of the Ancestors and the sacred places of the land. Through the power of the sacred word, expressed through poetry, storytelling and song, they invoked the blessings of the Spirit of Place, and of the Gods and ancestors of the people. As previously mentioned the caste known as Bards had their own Shamanic practices, but it may be that some Bards blended their creative skills with those of the Ovates (or Vates). These were the prophets and seers. They worked with the three realms of past, present and future and entered into trance states, foreseeing the future fortunes of the Tribe. 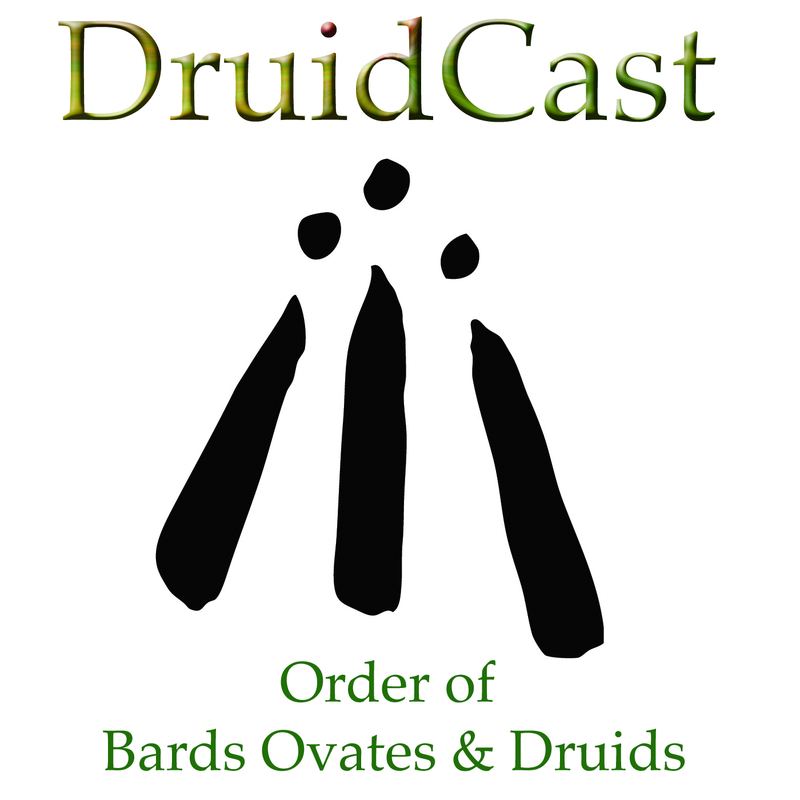 The Ovate was the Druid Shaman. If the ancient Druids performed sacrifice (there is no hard evidence of this other than Caesar’s account, which could well have been propaganda) then the Ovates would have been the people who oversaw such events. When considering the act of ritual sacrifice we must try to understand that the Celtic tribes lived and died by their crops. If the crops failed, then a hard winter of starvation and disease was inevitable. A whole village could be wiped out through lack of food; therefore, when such a catastrophe occurred, the ancients felt they had to offer a gift to their Gods. The true nature of sacrifice was to give somebody who came willingly. To offer themselves as such placed them with their Gods and the Tribe revered them as heroes. To view ancient civilizations from the standpoint of modern ethics is a mistake. We have supermarkets and world trade, which keeps us supplied with wonderful food throughout the year. Now imagine growing all of the food you eat yourself, without the use of pesticides to protect the crop from blight and insect diseases. Then imagine your crop fails and you face a winter of unimaginable pain and suffering. Now imagine it happened for a second year…. The third ‘caste’ was the Druid. Much of what we know about the ancient Druids comes from classical writers, and it might be that ‘Druid’ was a collective term that included the Bards and Ovates, we simply don’t know for sure, but either way we do know that they were highly respected members of the tribe – the wise one who had passed through madness and survived. This brought great wisdom and peace; the Druid’s role was therefore that of advisor, teacher and judge. In Celtic mythology tribal chieftains each had their Druid to whom they turned for advice during times of need. Between 5OOCE and the late middle ages the Druid tradition was kept alive in the tales and songs of the storyteller and wandering minstrel. It is here that we see the blending of two castes, the Bard and Ovate. We see such characters as Merlin and Taliesin emerging as seer-poets, living on the edge of sanity and completely accepted by the spirits of Nature. Much of the modern Druidic teaching stems from the words of the ancient Bardic tales and the poetry of Taliesin and Merlin. Bardic colleges continued to operate in Wales, Ireland, and Scotland, for many centuries, but eventually the last one was closed in the 17th century. However, the pull of this tradition was too strong and soon poets such as William Blake rediscovered the voice of the Bard. These Bardic revivalists, who revelled in the beauty of nature, met in the quieter rooms of public houses at the end of the 18th century, and thus the thread spins on…. With the growing awareness many people have towards the environment, there is an understandable interest in the Nature, or Pagan, religions. Druidry means different things to different people. There are those who take their spirituality from Druidry and blend it with their own tradition, be that Pagan or Christian. And there are others who try to follow a rediscovered “Druidism”. To give an insight into modem Druidry we must start with exploring the symbol and Druidic “sacred mantra” known as the Awen. 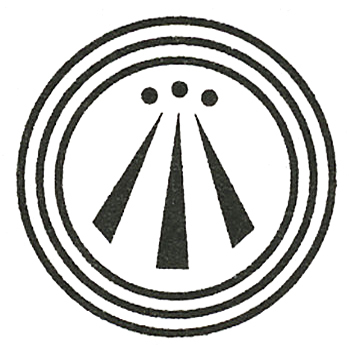 Central to Druid philosophy is the force known as the Awen. The closest definition of the words Awen is “divine inspiration” or “flowing spirit” and it is this flowing spirit that guides us through the Druid work and, because the force of the Awen is described thus, it can be seen as many different things. The force of divine poetic inspiration, which is held within the three drops of potion brewed in the Cauldron of the Goddess Ceridwen, to the Christian Trinity of Father, Son and Holy Ghost, both could be described as the Awen. The symbol of the Awen is the “Three Rays of Light” shining from three single points surrounded by three circles. The three points can represent the directions of the sunrises of the Soistices and Equinoxes. On the Summer and Winter Solstices the Sun rises east-north-east and east-south-east respectively, whilst on the Spring and Autumn Equinoxes it rises due east. The Awen also symbolises the three drops of inspiration from the Cauldron of Ceridwen. The three circles represent the three Circles of Creation in Welsh cosmology, ie Abred, Gwynvid and Ceugant. The central area represents the realm of Annwn. During a Druid ritual, the Awen can be intoned as a single monotone note using three syllables “Ah-oo-en”(some Druid Orders intone the three letters I. A. U. in a similar way). The power held within the Awen mantra can be used in many ways – from initiating poetic inspiration, to drawing down the blessing of the God and Goddess or evoking a change in the atmosphere of a ritual circle. It is truly a sacred word. Alban Arthan (Winter Solstice): Alban Arthan means the Light of Arthur. Some Druid Orders believe this means the Light of the hero King Arthur Pendragon who is symbolically reborn as the Sun Child (The Mabon) at the time of the Solstice. Others see the Light belonging to the star constellation known as the Great Bear (or the Plough) – Arthur, or Art, being Gaelic for Bear. This constellation shines out in the sky and can symbolise the rebirth of the Sun. At this point the Sun is at its southernmost point almost disappearing beyond the horizon, and the days are at their shortest. This was a time of dread for the ancient peoples as they saw the days getting shorter and shorter. A great ritual was needed to revert the course of the sun. This was probably calculated by the great circles of stone and burial grounds which are aligned to this festival, such as Newgrange in Co. Meath, Eire. Sure enough, the next day the Sun began to move higher into the sky, showing that it had been reborn. This time of year is very cold and bleak, which is why so many celebrations are needed to help people get through the Winter months. It is significant that many civilisations welcomed their Solar Gods at the time of greatest darkness – including Mithras (the bull-headed Warrior God), the Egyptian God Horus and, more recently, Jesus Christ. Alban Eilir (Spring Equinox): Alban Eilir means the Light of the Earth. As the Sun grows warmer so life begins to show through the soil. Small signs at first – the daffodils and crocuses – then more green as the bluebells and wood anemones spread through the woodland. Plants are seen by some as inanimate greenery with no actual feelings and life force. But Druids see life in all living things, from rocks and stones, to rivers and springs, plants and trees – all life is sacred. Have you ever thought about how you recognise the beginning of Spring? Is it the plant life? The weather? How does a plant know when it is time to grow? It cannot tell the time or see a calendar. Yet it knows. If it has senses then it has consciousness, if it has consciousness then it is more than an inanimate life form. So it is the return of life to the Earth that is celebrated at Alban Eilir, the time of balance. Alban Hefin (Summer Solstice): Alban Hefin means the Light of the Shore. Druidry has a great respect and reverence for places that are “in between” worlds. The seashore is one such place, where the three realms of Earth, Sea and Sky meet. There is great power in places such as these. It is the time of greatest light when the Solar God is crowned, by the Goddess, as the King of Summer. It also brings some sadness because from now until Alban Arthan the Sun’s strength is declining and we have entered the waning year. At this time the Dark Twin, or Holly King, is born – he will take his crown at Alban Arthan. Of all the festivals Druidry is mostly associated with Alban Hefin. The wonderful white-robed figures filmed at the dawn rituals at Stonehenge are testament to this. However, to many Druids it is the turning seasons and the cycle of life, death and rebirth – reflected in the Wheel of the Year in its completeness – which are significant. Alban Elfed (Autumn Equinox): Alban Elfed means the Light of the Water. The Wheel turns and the time of balance returns. Alban Elfed marks the balance of day and night before the darkness overtakes the light. It is also the time of the second harvest, usually of the fruit which has stayed on the trees and plants to ripen under the Summer Sun. It is this final harvest which can take the central theme of the Alban Elfed ceremony. Thanking the Earth, in her full abundance as Mother and Giver, for the great harvest. It is the beginning of Autumn. Imbolc: On or around the 1st February – This is often seen as the first of three Spring festivals. It is hard sometimes to think of Spring in what feels like the depths of Winter. But if we look at the ground we can see the first shoots of green beginning to reach towards the Sun. Imbolc can be celebrated on either the 1st or 2nd February, or more naturally when the Snowdrops cover the ground. Beltane: On of around the 1st May – Beltane is the beginning of Summer, or the height of Spring. It is thought that the ancients only recognised two seasons, these being Summer and Winter. Beltane is the time when the Earth is literally buzzing with fertility. Life springs forth in all of its richness, and the land is covered with beautiful flowers, the freshly opened leaves of the trees are a quality of green that they only show at this time of year. At Beltane the Lady of the Land takes the hand of the Horned God, and together they walk into the forest. Their cries of love bring all life from the Earth. Some celebrate Beltane on the dates given above, whilst others look to the flowers of the May tree as their signal that Beltane had, at last, arrived. Lughnasadh: On or around the 1st August – Lughnasadh is the first of two harvest festivals, the other being Alban Elfed (the Autumn Equinox). At Lughnasadh we see the fields of corn being cut, and for some this is the true time of the festival. In the fields John Barleycorn, who laid with the Lady in the woods at Beltane, has grown old, and now stands bent and bearded with a crocked cane. He looks to the Sun as he has changed from green to gold, and he known that his time has come. His life will feed the people, and it is this sacrifice that we honour at Lughnasadh. Samhain: On of around the 31st October – This is a festival of the dead, a festival of remembrance and honouring of our dear departed friends and relations. It is said that, at Samhain, the veil that separates the worlds is at its thinnest. So our world, the world of Faerie, and that of the dead, blend as one. It is no wonder then that this night has become so wrapped in superstition. It is a night of wonder, and magic. On this night the Cailleach (the Crone) comes to strip the leaves from the trees, to quicken the decay of the flesh of the year, so that it may feed the new life to come. We can also ask Her to take the unwanted aspects of our personal year away, so that this too might be transformed. Yet even on the darkest night of Samhain, whilst our minds ponder our mortality, if you listen carefully, you can hear the sound of a new-born child crying for its Mother’s breast, for shortly it will be Alban Arthan, the Winter solstice, and the Wheel will turn once more. Although this prayer occurs widely in Modern Druidry, there are many who do not use it.